There are few surprises left for veterans of the media, marketing and communications industry in the Middle East. However, every now and then something pops up that can raise a smile or cause a roll of the eyes. One such story is the unusual case of the UAE-based Baker & McKenzie Habib Al Mulla. Through its public relations agency Asdaa, the law firm put out a release entitled ‘Mergers and acquisitions boom in Middle East’, which laid out the most notable M&A activity in 2014 and Baker & McKenzie Habib Al Mulla’s predictions that cross-border mergers and acquisitions would pick up pace in 2015. The original story is still online here at Khaleej Times. All well and good we all may think. Except, there was a mistake in the release. And it wasn’t a simple typo or grammatical error. No, it was much more serious. Have a look at the below paragraph. The Media and Entertainment sector was the largest recipient of inbound M&A activity in terms of value with almost 36 per cent share. This was driven by the $3.2 billion sale of Orbit Showtime Network Co, a Dubai-based owner and operator of TV station, to an undisclosed US private equity firm. This is also the largest deal since 2010. There was a problem on the above information about OSN’s sale. It never happened. Dubai-based business monthly Trends Middle East was the first publication to point this glaring error out in a blog post. Trends’ editorial team did what any good bunch of journalists should do, and they verified the facts contained in the release. Unfortunately, a number of other publications didn’t (the list is on the Trends website). The Trends team then reached out to all the parties involved, including Baker & McKenzie Habib Al Mulla, Asdaa and OSN. OSN issued a statement denying the information in the release. Baker & McKenzie Habib Al Mulla also put out a statement to Trends which you can read below. However, despite reaching out to Trends and two days after the press release was issued, Asdaa hadn’t gotten back to Trends with a clarification (as per Trends’ own website). A statement was sent out to the media by Asdaa nine days after the incorrect release was published, and a week after Asdaa’s client had gotten back to Trends with the correction email. The correct as of January 6th is below. “Baker & McKenzie Habib Al Mulla would like to clarify that our recent analysis regarding M&A activity in the Middle East, issued on 23 December 2014, was based on data from Thomson ONE Analytics, part of Thomson Reuters. The data comprised deals announced during 2014, including the reported approach by an un-named US private equity firm for the acquisition of OSN, which did not proceed. Please note the reference to the sale of OSN was incorrect. I have to ask, is this the first time a law firm has apologized before its agency? It’s normally the communications and public relations firms who advocate for a quick and speedy apology. When it seems that a quick and speedy resolution could have brought this to a close, especially in a social media age where the recommended response time is literally 15 minutes, why did the client say sorry before the agency? 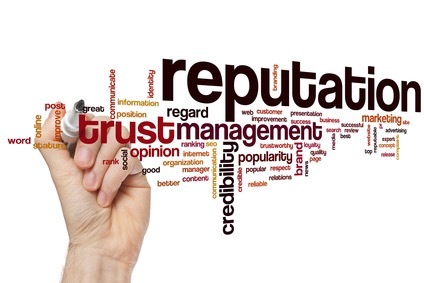 If the communications industry is to consult and advise clients in a trusted manner, we really have to do better. Let’s hope that those involved have processes in place to both fact-check and, when something goes wrong, get back to media in as short an amount of time as possible. How long do we have to wait for competition in the UAE’s telco space? As the saying goes, everything comes to those who wait. If you’re waiting for competition in the UAE’s telco space you may have a couple more years of waiting. Reuters published a story today detailing how despite talks beginning in September 2009, Du and Etisalat have yet to agree terms for network sharing. The best bits from the Reuters piece are below. The United Arab Emirates’ two telecom operators, Etisalat and du, remain at loggerheads over a deal to allow them to compete on fixed line services nearly four years after negotiations began. Du and Etisalat already offer fixed-line, broadband and television packages in the UAE, but not in the same districts, with du confined to the newer areas of Dubai. The two companies, which are both majority-owned by government institutions, started technology trials that would allow network sharing more than two years ago and an agreement was slated to be concluded by 2011-end. But a report from the Telecommunications Regulatory Authority (TRA) this week shows the companies cannot agree on the extent of so-called bitstream access, which would enable one operator to permit the other to use its fixed network, or a method to determine the fees for allowing such access. “The two licensees are still negotiating,” states the regulator’s report, which was published on its website. The TRA states it will “impose a requirement to offer bitstream access products for both residential and business markets,” reiterating a commitment it made in a 2010 policy document. Further liberalisation has proved fraught – mobile number portability, which would allow customers to retain their phone number when switching provider, has yet to be introduced despite the regulator previously stating this would be available by mid-2008. Now, almost four years later ad yet we’re still nowhere near having any competition in the telecoms space in the UAE. The question is when is the UAE’s Telecoms Regulatory Authority going to step up and force the two telcos to agree a deal? Across the region, we have some powerful regulators who have forced incumbent operators into making changes (Bahrain’s TRA is a great example of how a regulator should act on behalf of a country’s consumers). And yet, despite repeated promises from the TRA the UAE’s public is still waiting for a raft of measures that will liberalize the telecommunications sector, reduce costs and, hopefully, raise the quality of the country’s telecommunication services. Just remember, if you’re waiting for the respective parties to agree and benefit from market liberalisation in the UAE’s telco sector it’s probably best not to hold your breath based on Du’s and Etisalat’s track record. Following on from a recent post about one of my favourite journalists who covers issues related to the Kingdom, here’s a second piece for those interested in the media world of Saudi Arabia. There are few newswires in the Kingdom (the most prominent are Bloomberg, Dow Jones, and Reuters) and the best established is Reuters. The venerable London-based news agency was the first to set up shop in Riyadh and has since expanded its bureaus to Jeddah and Al-Khobar. Despite the size of the oil and gas industry and affiliated sectors in Saudi Arabia (the Kingdom is one of the largest oil exporters worldwide), there’s no more challenging assignment than trying to break through the myriad number of embedded public relations professionals to actually get to and report the actual story. Reem has consistently shown an ability to develop contacts and to understand the issues that are central to Saudi Arabia’s energy industry. Reem is the type of journalist who will be thoroughly prepared for an interview and will question the interviewee on every subject. She’ll quite literally leave no stone unturned in her search for a story or piece of information. If you’re eager to read more about Reem’s work, have a look at these articles online including interviews with the Deputy Minister for Electricity and Water and the Chairman of Saudi Electricity Company Dr Saleh Al-Awaji, an overview of Saudi Arabia’s mining sector, and of course numerous pieces with Aramco including this one on its production plans.